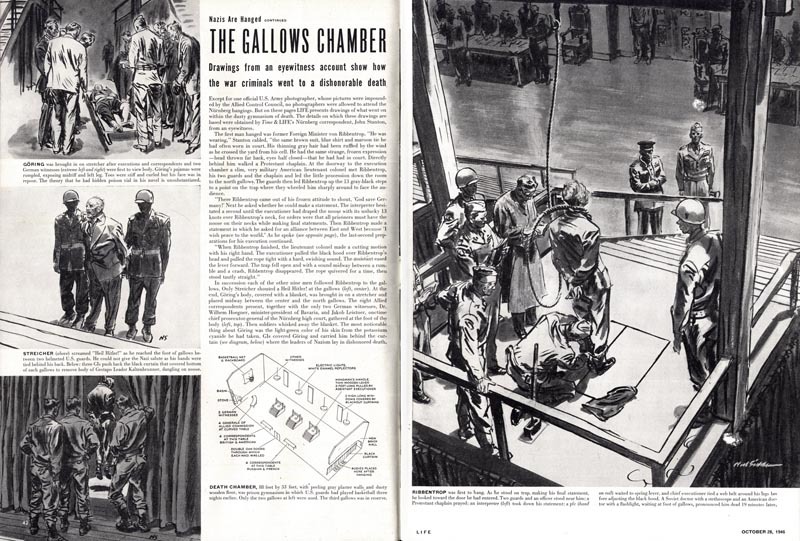 Grim subject matter aside, I could stare for hours at Noel Sickles' gorgeous drawings from this 1946 article in Life magazines. This is truly Sickles at his best. I suspect he had free reign to express himself artistically and the results certainly show it. Every line, every shape, is a work of art. This is what Robert Fawcett meant when he spoke of work allowing us to conform in some degree to standards we ourselves set, and how the result could "add life and character to the printed page." Be sure to click on each image to drink in the larger version. This might be an inopportune time to use such a description, but the quality and expression of Noels Sickles' line in these drawings is absolutely... breathtaking. Now contrast that work with the scans seen below. They're part of a year-long series of Sickles-illustrated ads for American Airlines that appeared in Fortune magazine. I'm not saying these ads are horrible but to be kind, they're not much more than pedestrian. 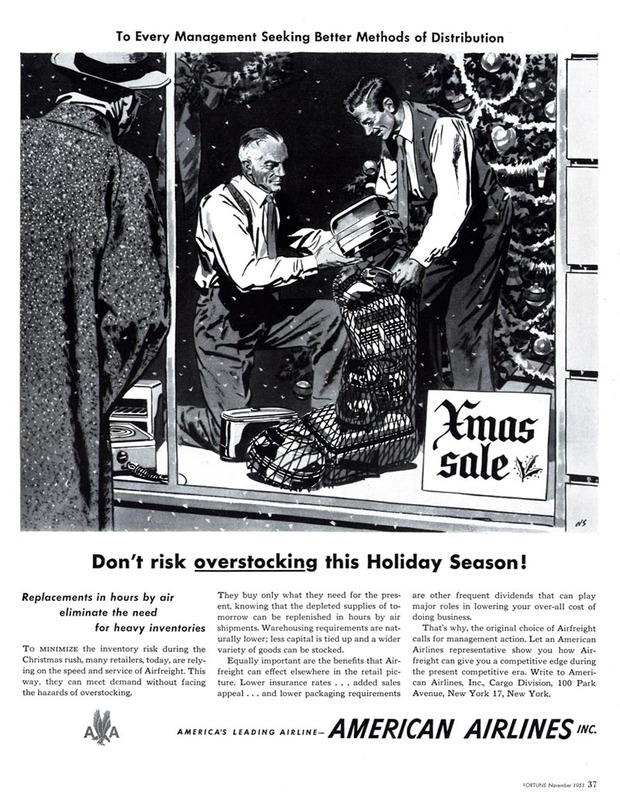 I would venture an educated guess that these are ads Sickles didn't have much say in. They look like they were rendered in Sickle's style over agency designed layouts, possibly with heavy handed input from the client. 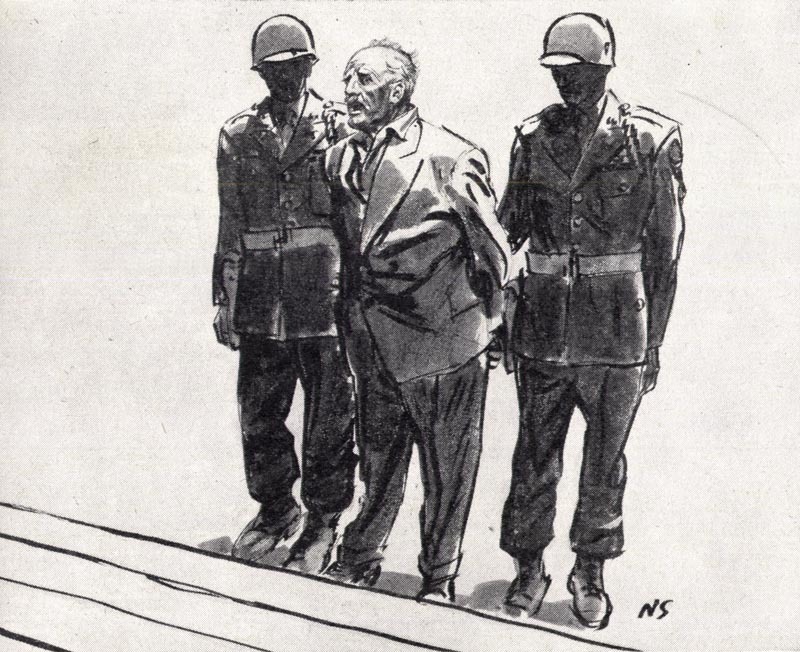 So why did Noel Sickles do these lame ads? 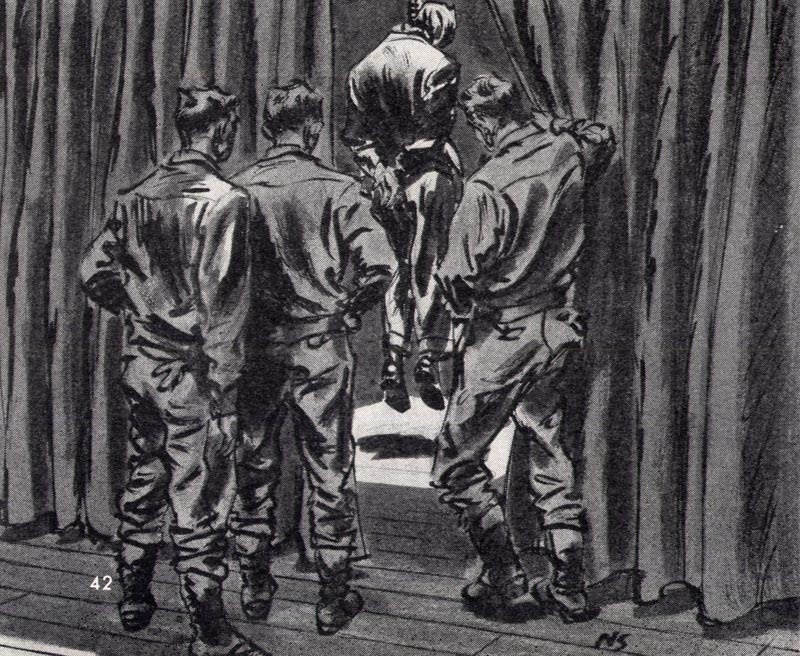 Was Noel Sickles a "sell out"? I look at it this way: It would be fair to say that Noel Sickles probably got at least $1,000 per illustration for this series if 12 ads in 1951. Here's a neat inflation calculator. Punch in the numbers and you'll see that those ads would have been worth at minimum, about $7,000 each in today's money. 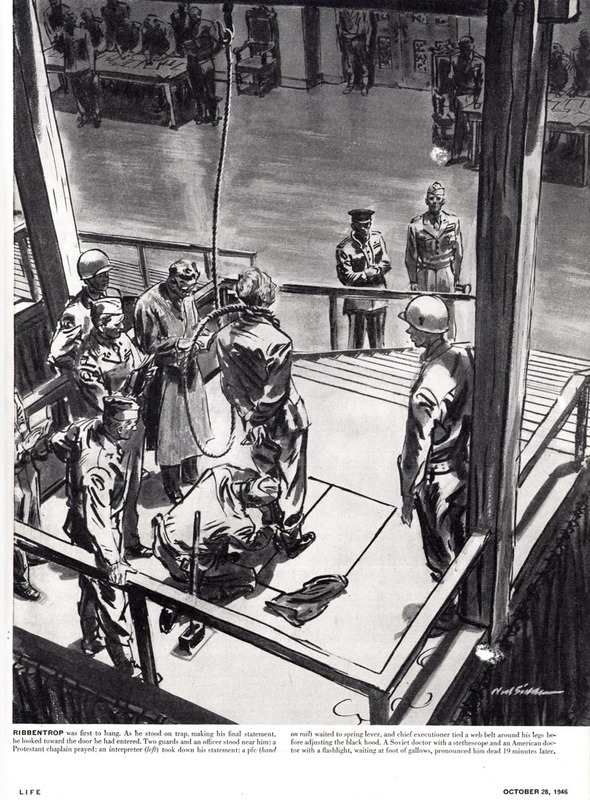 I doubt someone of Noel Sickles' abilities would have needed much more than a day or two to render up each ad. Given the opportunity to make $7,000 for a day or two's work, what would you do? All of us who ply this trade offer well-honed services in a highly competitive marketplace, and our clients choose us based on merit (technical skill, professionalism, and appropriateness). 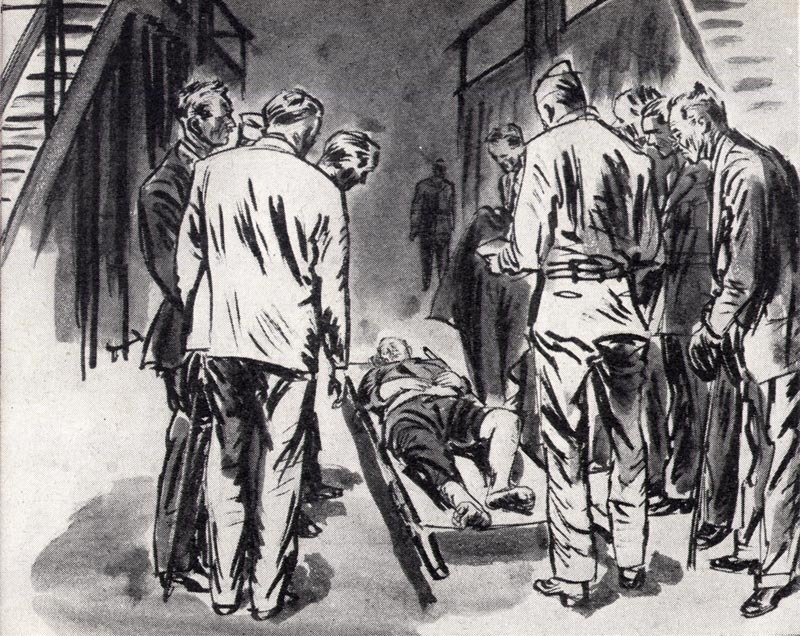 Sickles was a journeyman illustrator, and it's evident that he put every ounce of his skill into every assignment. I imagine that, as is so often the case, those pricey ads had a horde of ADs, designers, copywriters, editors, etc. holding his wrist, whereas the Life story gave him much greater freedom of expression, hence the differing levels of artistry. It's been my experience that there is generally an inverse relationship between the amount of creative control an artist is allowed to exert, and the budget. Regardless, I cannot imagine characterizing what any of us do to earn an honest living by dint of our prowess to be "Selling Out"
Bingo. Naturally, I agree with you one hundred percent, Ken. I'm curious to hear the opposing p.o.v. though... I know there are readers who don't share our take on this. I agree with you both. 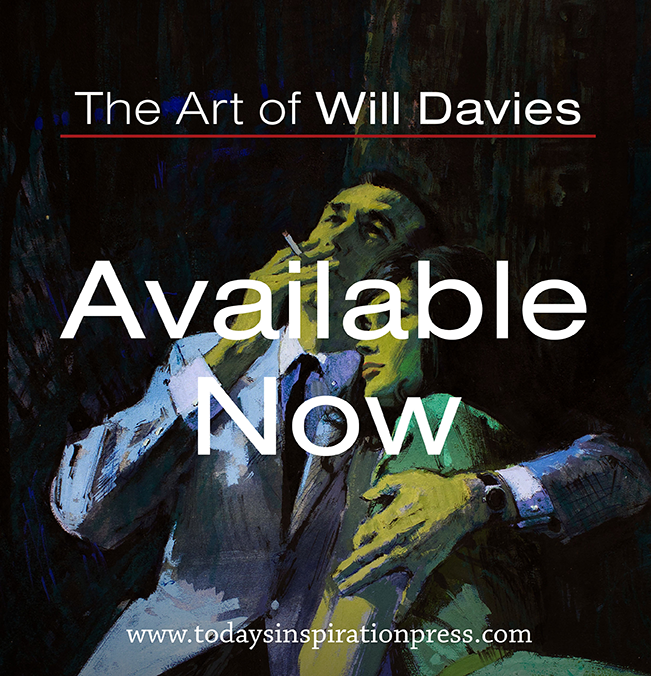 You never know what the hurdles were on a job, and it is after all, a job (as well as an art). As just an observer- not a member of the trade- just wanted to tell you, Leif- how informative and interesting I find your blog. Thank you for your work here! I so appreciate "discovering" these artists through your sharing. oh... these are really top quality sickles pix. Thanks much! Most of us would like to have a bank account healthy enough to turn down the 'ugly' jobs-few of us do,but that's the desire,be honest. I mean why don't you see Brad Pitt or Clooney in TV Movies? Simple,they don't need to do them anymore,even if the money was healthy. It was the same with Fawcett.His work conferred quality on any product it was allied with.By turning down rubbish, it kept his brand high-value and left more work for those lower on the food chain. So, his or Sickles 'snobbery' would be beneficial for themselves and all the other illustrators below them. 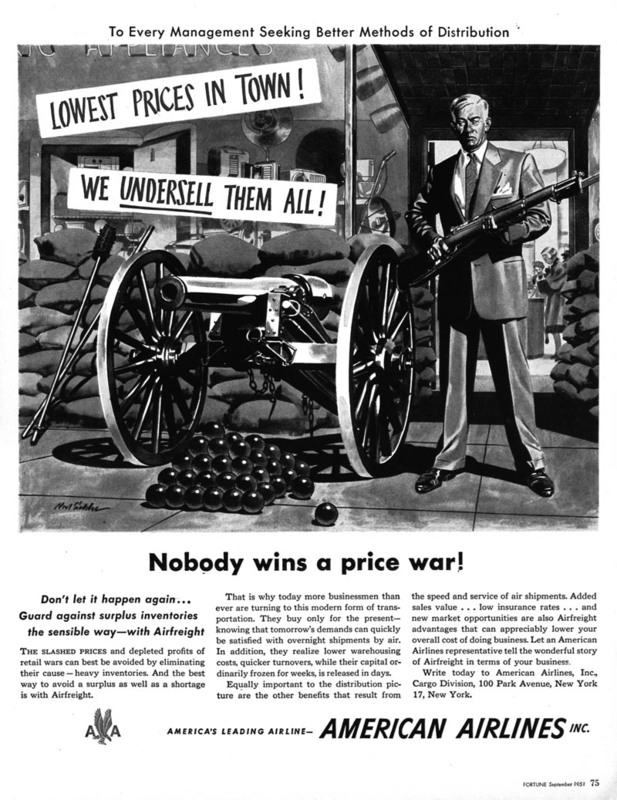 It could be argued that Sickles would progressively cheapen his own brand to AD's the more of these uninspired advertising illustrations he did. And that's why Clooney will advertise coffee in Europe, not in the U.S .Brand protection. first of all, thank you for your hard work on this blog. Its one of the highlights of my day when a new post appears. Second, any chance you have the opportunity to give a comment (a mini-review really) on the Noel Sickles book that I've seen you reference? Chad's comments remind me of some statements made by Jack Katz in a recent issue of Roy Thomas's "Alter Ego" magazine. He spoke about how Noel Sickles' market had dried up, and how this incredible illustrator was scrambling for any assignment he could get. That was probably true for many illustrators, then or now. However, I wonder if he had, as Chad says, cheapened his brand and hurt his career over time. Any thoughts? I think that the realities of life always enter into decisions for types of work at some time in our lives as illustrators. If I had children (which I don't) that would even raise the ante quite a bit when decision-making time came around. I'm not sure if some of my decisions have "cheapened my brand", but I do know that I could pay bills and have an income and that's a big part of any illustrators' life ... especially in today's market. Thanks for the great posts as always. Sickels was not a sell out. Aren't artists supposed to make a living? his stuff was great even when somewhat compromised. There were and are good jobs and bad. Not every job is going to put you in the best light possible. That's showbiz. Erik, Hugo, Tom and Jim; Thank you all for your comments. Your reasonable, moderate, realistic opinions on the subject are a tonic after the ordeal of trading potshots with "Anonymous" on the previous post! I'm weighing in on this a little late, but here's a few more thoughts on the subject. Being an illustrator always had it's own inherent set of high risks. Illustration was an extremely competitive field, and not all illustrators were always successful or had ideal assignments. But the rewards could be very gratifying, perhaps even more gratifying than most other careers. I speak in past tense because I am retired from illustration, and can't speak for the present market. I think most illustrators knew the risks of potentially going through "dry spells", when the choice jobs are sparse or have to take work that fit their level of experience or talent. That becomes an individual's own choice to either hold out for the choice jobs or take on whatever is available to pay the bills. If an illustrator told me they have compromised their artistic integrity or "sold out" for the money , I would understand their motives and wouldn't find fault in their decision. If an illustrator accused me of "selling out" or compromising artistic integrity, that would offend me. I would feel it was not their place to judge my decision, since it didn't effect them personally. Unlike brain surgery, the only potential harm from my decisions, would be to my self. I believe that my opinion of artistic integrity should not be imposed on other illustrators, and visa versa. I personally knew or knew of illustrators that were extremely successful, and at the height of their talent, they chose to pursue a fine arts career. With many, they became even more successful and made more money than as illustrators. Usually their motive for leaving the illustration market, was to paint what they wanted in the way they wanted. However, their paintings were based on the same knowledge and approach they gave to their illustrations, and I suspect that was a major factor in their success.